Our team strive to go above and beyond every day to create special and memorable moments for our guests. Each month we’ll introduce you to one of our colleagues so that they can share their Savoy Stories. Australian-born Sam Beer is our hugely talented carpenter here at The Savoy and the man behind this year’s Christmas showpiece. 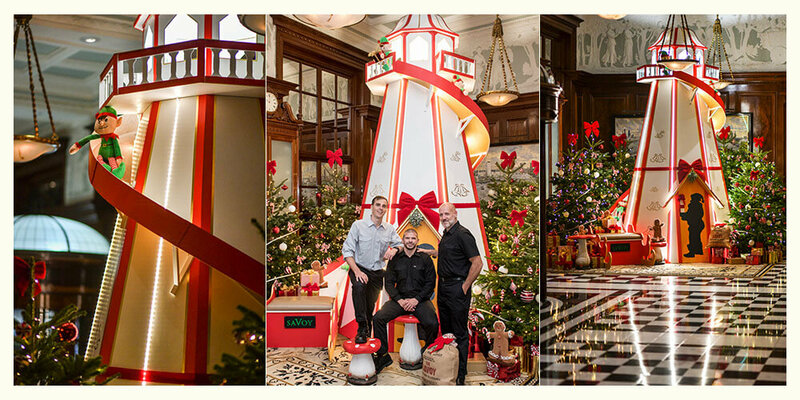 Around three months ago hotel manager, Ian Kidd, and head florist, Belinda Bowles, put forward their idea of a funfair inspired Christmas at The Savoy and challenged Sam with building a 15ft helter skelter to stand in the Front Hall (not just any old helter skelter though… a festive helter skelter). Having never seen a helter skelter before, Sam got to work, researching pictures and; ‘making it up as I went along’. The build itself took him around 25 days in total, including the intricate (and festive) paintwork and was no easy feat as he had to construct it in several parts, keeping in mind that he would eventually have to get it through the front door of The Savoy for final display. What’s more, the project was a closely guarded secret so Sam had to work behind closed doors and keep schtum until the reveal to guests and colleagues on Sunday 25 November. Sam lives in Dalston with his wife, Olivia, a lawyer, and his ten month old daughter, who he’s excited to bring into The Savoy to take a look at Daddy’s handy work. 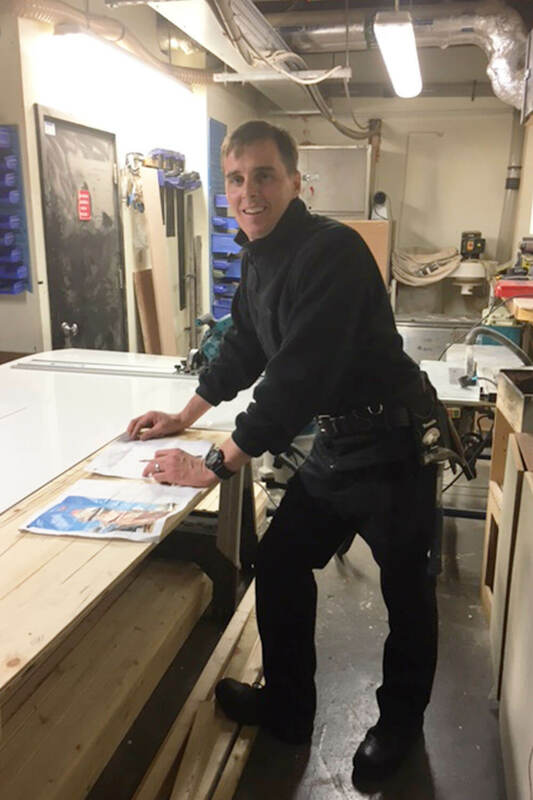 He grew up in Gunnedah, New South Wales and, before turning his carpentry skills into a career, was a water-ski instructor and a Kruger National Park ranger. Sam Beer working on the festive helter skelter.